Discussion in 'iPhone and iPad Games' started by Spore Productions, Oct 29, 2015. 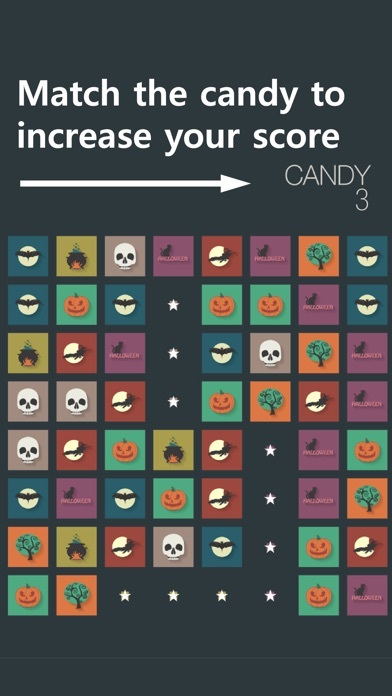 My Halloween game for iPad and iPhone is available worldwide NOW! 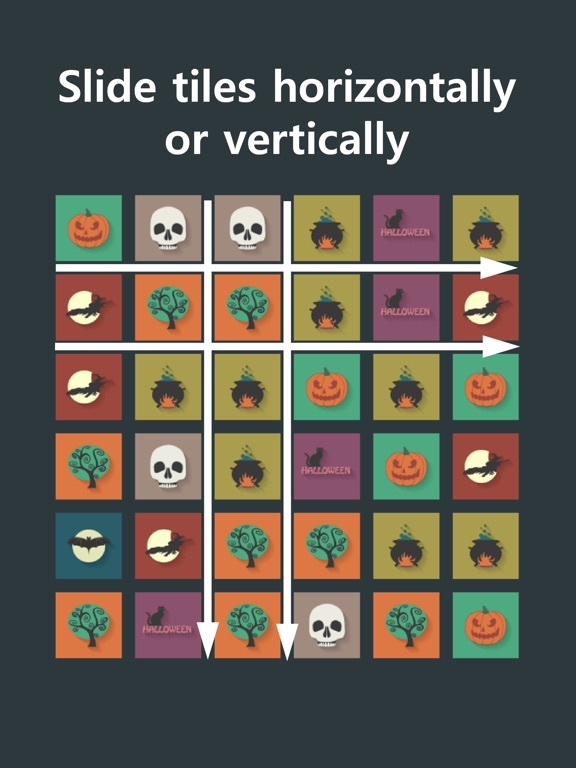 I had a sliding match-3 prototype working that I wondered, how could I apply a simple "play fast for a high score" type gameplay model to it so it's got replay value like one of those "infinite play" games. My solution here was to give one single purpose: Conjure and collect candy. That's the only way to increase the score. 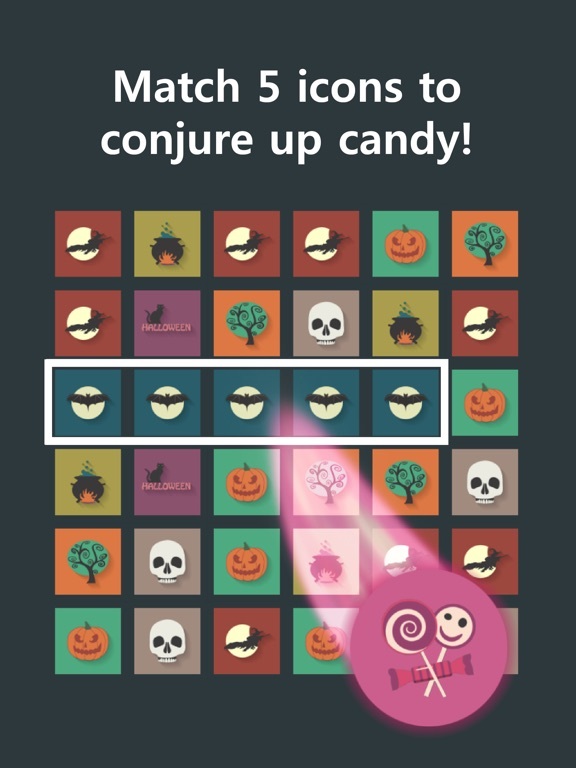 You conjure up candy by matching 5 icons. Then you collect them by matching the candy icons. Matching 3 or 4 icons refills a little of your magic. *A few bugs were found yesterday that are being squashed right now. Thank you for checking this game out! Feel free to leave me feedback below. Spooky fun! 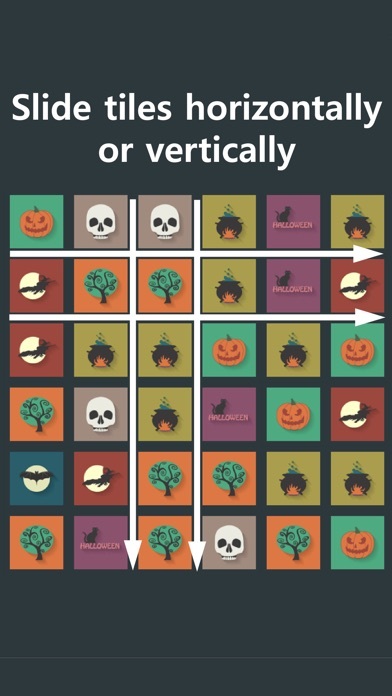 This is not your typical tile matching game. 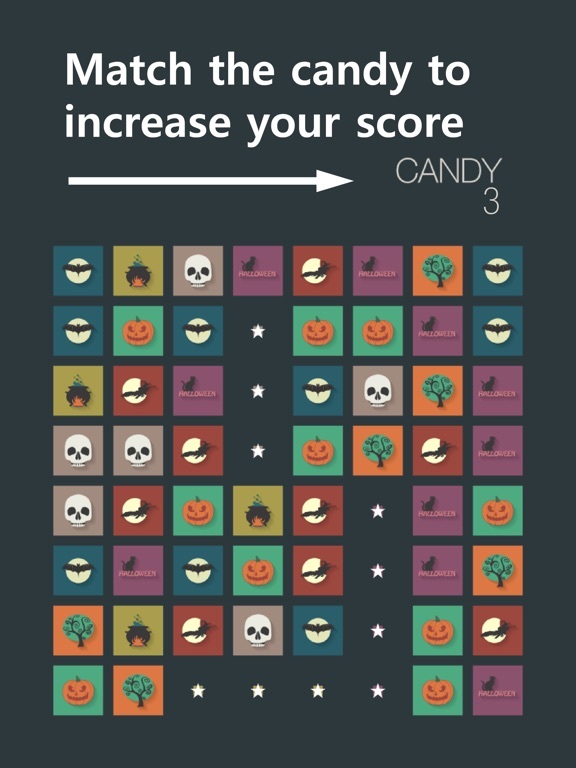 In this Halloween sliding match-3, you race to collect candy before you run out of magic. Quick thinking and a fast finger are required as you slide rows and columns matching beautiful flat design icons in 3, 4 or 5 the same. 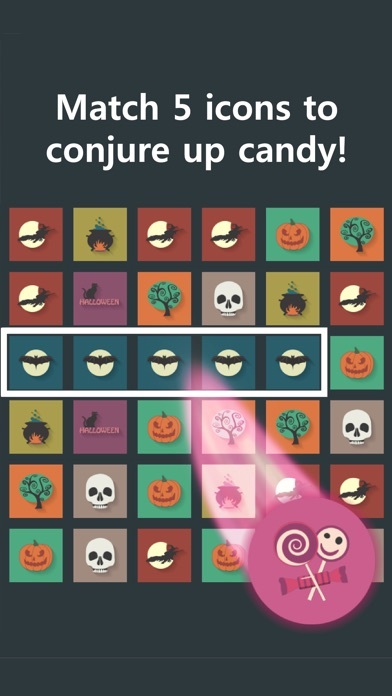 Regenerate your magic power through matches and conjure up candy to collect! Strategy and speed are key!